Intel NUCs with ESXi are being used as home servers and in many home labs. 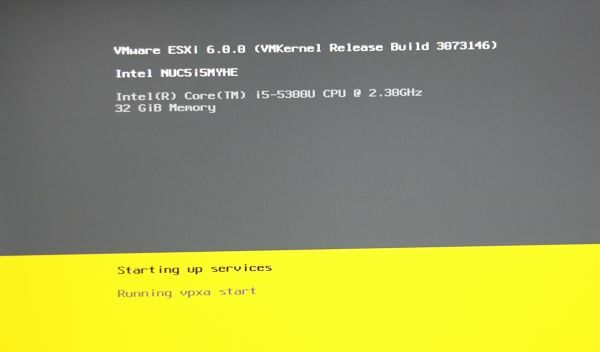 If you are generally interested in running ESXi on Intel NUCs, read this post first. Officially, it is limited to 16GB memory which might come a little bit short for virtualization labs. 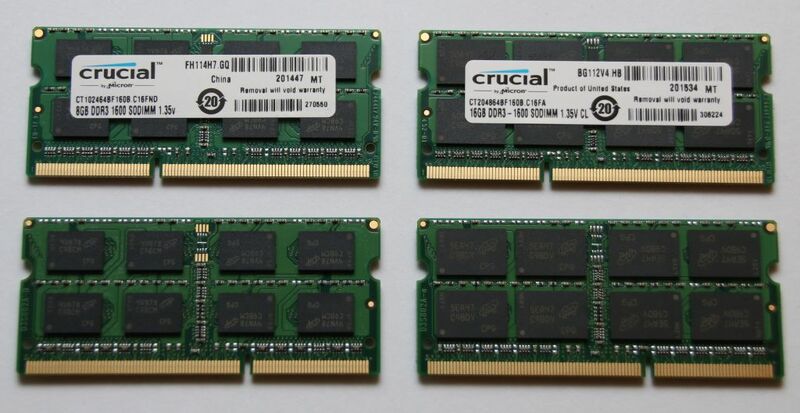 Recently Crucial has launched 16GB DDR3L modules for an affordable price (Intelligent Memory was the first in the market with 16GB modules, but they were quite expensive). I've ordered two Crucial 16GB modules (CT204864BF160B) and tested them in my 5th Gen Intel NUC (NUC5i5MYHE). Please note that these modules are not officially supported. You can see the maximum supported memory on the NUC Comparison page. That means that there is no guarantee that it works without problems. ← What's Inside an ESXi vm-support Bundle? Thanks Florian for being brave and testing it out! Anyone tried this with the 3rd generation Intel Core i5-3427U (Kit = DC53427HYE and Board = D53427RKE)? It's the only pre-generation 5 one with vPro so it was a popular choice. I am having no success installing them in the DC53427HYE. It will not POST. I don't suppose you have a laptop with a 5600u to test in haha. I guess I'll have to give this a shot. Awesome website, you did a really nice job! Reporting back: Ordered 2 CT204864BF160B from Newegg and popped them in my Dell E7250 ultrabook - Success! Windows shows both modules at 1600mhz and no errors using 25GB with apps and Hyper-V.
Do you know if it works for the NUC5i5RYH model? Or is the NUC5i5MYHE a better version to virtualize on? It should work with the NUC5i5RYH too. The NUC5i5MYHE has a slightly better CPU with vPro technology. So I'm interested in using the DS57U5 for a ESXI cluster instead of the NUCs, the inclusion of a second Intel NIC seems incredibly useful. Have you done any testing of these, or would you be willing to? I'd be especially interested to know if these RAM kits also work in this chassis.